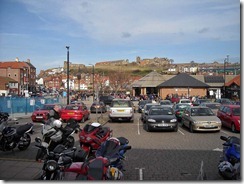 I went out on a run to Whitby yesterday with NUKB, the ride was planned and led by Camsdad. Helen didn't come out as her wrist is giving her problems at the moment. I left home at about 9:30am on the ZX-9R and made my way over to the meeting point at Squires Cafe on the B1222 near to Newthorpe. We left Squires at about 11:00am and headed on the B1222 towards Sherburn in Elmet, we turned left there and head North on the A162. We turned right just after Towton onto the B1223 and followed that to Cawood. We turned left in Cawood and back onto the B1222, we only followed this for a short while before taking to minor roads. We took these minor roads to Escrick and then onto Wheldrake. From there we continued to Elvington then Kexby before turning North and heading to Kirby Moorside via Barton le Willows and a lovely roman road with a gatehouse and obelisk near to Slingsby. At Kirkby Moorside we headed out onto the North York Moors and travelled via Hutton-le-Hole and then onto Danby High Moor. We turned right at Castleton and went over Glaisdale Moor and through Grosmont before joining the A169 and heading down into Whitby. 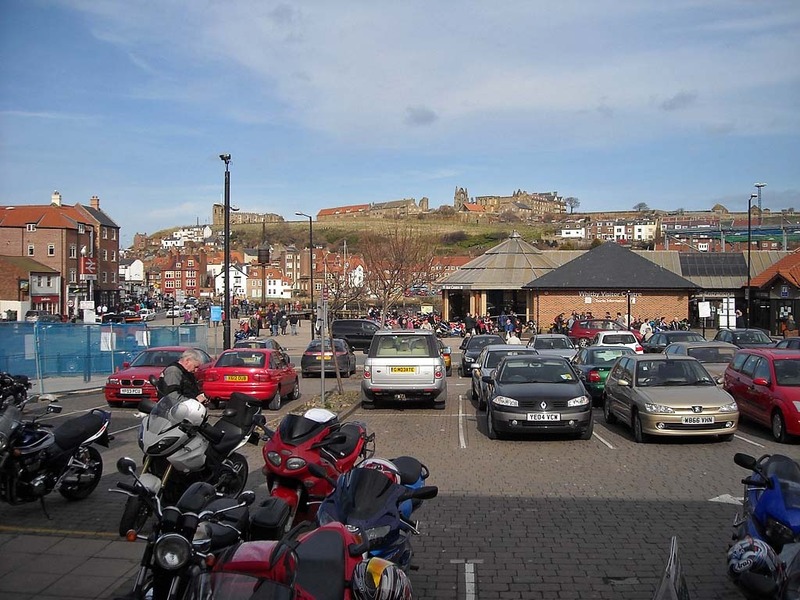 We parked up in Whitby at the Whistle Stop Cafe and headed out for some fish and chips. We left Whitby and headed out on the A171 heading towards Scarborough. Just before Cloughton we turned right onto minor roads towards East Ayton. In East Ayton we joined the B1261 and headed to Staxton where we turned onto the B1249 towards Driffield. We then turned right just before Langtoft onto the B1253, we took this past the Seaways Cafe at Fridaythorpe where we joined the A166. We soon turned off this onto minor roads and went through Huggate on our way to North Dalton. Here we joined the B1246 and headed towards Pocklington. We then cut across the A1079 onto minor roads again and past through Allerthorpe. Back on minor roads again we travelled via Thornton and Elvington where we picked up our outbound route again at Wheldrake. We then followed the same route in reverse back to Squires Cafe. After a brief stop for a brew at Squires I headed home on the M62. 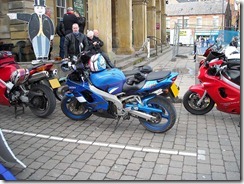 Welcome to my motorcycling blog. This blog is a complete diary of what myself and my wife Helen have been up to on our bikes, since passing our tests. We only passed our tests at the end of 2007 after we had been inspired by our visit to the Isle of Man. But in this short time we have covered over 60,000 miles and been on tours through France, Spain, Germany, Belgium, Luxembourg, Switzerland, Austria, Italy and Slovenia. These tours have also included trips over many famous mountain passes in the Alps, Vosges, Dolomites and Pyrenees. We try and get out every weekend weather permitting, but we aren't fair weather fairies. I have seen my fair share of rain and even snow. 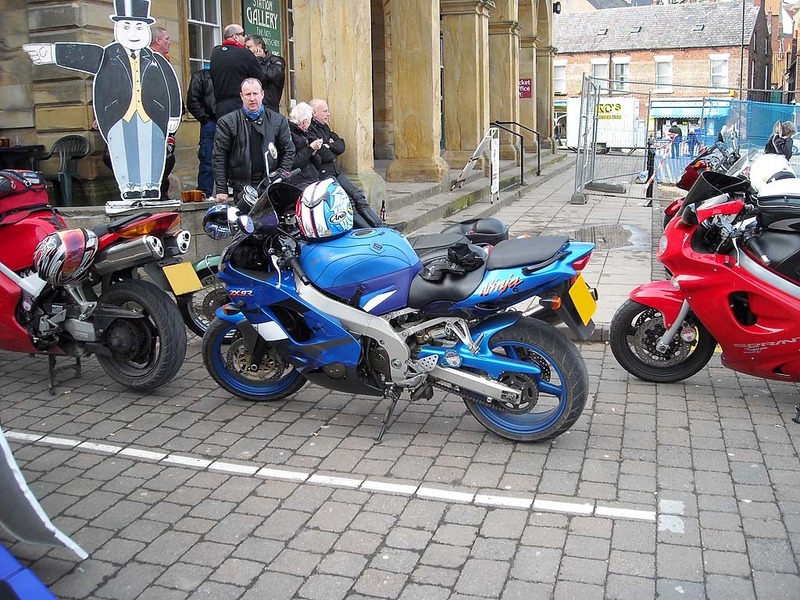 We regularly go out with the guys from North UK Bikers on rideouts, sometimes I even lead. I update this blog often so check back soon or sign up to the RSS Feed or the Email RSS Feed.